The African Studies Program at the University of Wisconsin-Madison celebrates a long and storied history. From a small team of visionary faculty in the 1960s to the vibrant interdisciplinary unit of today, the African Studies Program has earned its reputation for excellence on the Wisconsin campus and beyond. The University of Wisconsin established four different programs and departments associated with Africa during the 1960s: the African Studies Program in 1961, the Comparative Tropical History Program (later African History Program) the same year, the Department of African Languages and Literature (later Department of African Cultural Studies) in 1964, and the Afro-American Studies Department in 1970. The post-war period was one of Cold War internationalism and rapid expansion of university education, joining the Marshall Plan with the GI Bill, USAID, and the Peace Corps with the development of area studies. Decolonialization and the civil rights movement in the U.S. gave increasing prominence to Africa. At Wisconsin, noted international scholars Fred Harvey Harrington and Edwin Young promoted the expansion and internationalization of the university, while a young assistant professor of imperial and Latin American history, Philip D. Curtin, was quick to exploit these opportunities to develop new programs in African studies, comparative history, and languages and literature, obtaining large foundation grants to fund their development, identifying, and recruiting foundational faculty, and recruiting graduate students from Africa, Europe, the Caribbean, and America. By the end of the decade, Africanists also contributed to the development of a new department of Afro-American Studies, which developed its own influential presence while continuing to maintain strong links with African Studies. Curtin had been hired in 1956 to teach British imperial and Latin American history, but he quickly shifted his interests to Africa, touring the continent in 1959. He was soon joined by Fred Simoons in Geography, Aristide Zolberg in Political Science, and Jan Vansina in History. Together, Curtin and Vansina established the African Studies Program in 1961. The program was deliberately established as an interdisciplinary program, rather than an independent department, in order to spread awareness of Africa across departments, with new faculty appointments funded by grants from Ford, Rockefeller, and the NDEA and offered to the relevant departments. The program developed quickly, and by the end of the decade, a total of 28 faculty represented African languages and literature, history, political science, anthropology, geography, sociology, economics, law, education, journalism, linguistics, music, and atmospheric sciences. The administrative structure launched with Curtin at the helm as faculty chair until 1964. A more formalized framework came into existence with the appointment of Crawford Young as faculty chair and Marjorie Harris as assistant to the chair in 1965. Later, this structure was further defined with the addition of the Associate Director position, first held by David Wiley, and Assistant Director position, filled by Marjorie Harris. An African Bibliographer (Richard Bernard, Michael Briggs, David Henige, and Emilie Songolo) was appointed to develop the library’s outstanding collection. In the 1970s and 1980s, the program continued to expand into new departments in the humanities and consolidate its position in colleges outside Letters and Science. Sixteen new faculty were added during the 1970s and another 19 in the 1980s. An outreach program to schools and the community was developed, and the program expanded its activities abroad, with programs to develop the University of Ife and teacher education in Northern Nigeria. The Rockefeller Foundation’s African university development program sent faculty to work in African universities and brought a number of African graduate students to Madison, and the university’s Land Tenure Center expanded its work into Africa. By the program’s 25th anniversary in 1986, it was one of the largest and most influential African Studies programs anywhere in the world, with a total of 63 faculty. The 1990s brought challenging departures and retirements of some of the program’s most distinguished members, but the early wisdom of establishing an interdisciplinary program became clear as departments enthusiastically replaced those who left. Some faculty hires during this time included those of Michael Schatzberg in the Department of Political Science and Thomas Spear, Neil Kodesh and James Sweet in History. At the same time, the program was able to expand into a number of new areas, with major new initiatives in the fields of Women’s Studies (led by Aili Tripp), the African Diaspora (Teju Olaniyan and James Sweet), Global Health (Cynthia Haq), Global Legal Studies (Heinz Klug), and Human Rights (Scott Straus). By 2010, the program counted a total of 72 faculty and staff spanning the social sciences, humanities, education, law, medicine, journalism, the sciences, and engineering. The program continues to flourish with more than five decades of Title VI support. As a leading National Resource Center (NRC), its more than 200 faculty and staff and more than 550 PhD graduates have made notable contributions to the study of African history, language and literature, politics, sociology, economics, education, anthropology, geography, and a number of other fields. Fourteen faculty and graduates have served as president of the African Studies Association; six have been given the association’s Distinguished Africanist award; and ten have won ASA’s Herskovits Prize for the best book in African Studies. Two faculty have received MacArthur awards and 15 faculty and graduates have been named Guggenheim fellows. The founders of the African Studies Program considered African languages and literature critical for the ethnographically-oriented historical, social, political, and literary research that was to characterize the program from the start. The Department of African Languages and Literature (later named Department of African Cultural Studies) was established in 1964, with the appointments of A.C. Jordan and Lyndon Harries to teach Xhosa and Swahili language and literature respectively. They were soon joined by Emile Snyder and Edris Makward in literature, Neil Skinner in Hausa, Harold Scheub in oral traditions and folklore, and Patrick Bennett in comparative linguistics as the department developed expertise in linguistics along with written and oral literatures in African languages, French, and English. The department continued to expand in the 1970s with the addition of Dustin Cowell, Linda Hunter, Daniel Kunene, Magdalena Hauner, and Hazel Carter. Later, Antonia Schleicher was appointed in Yoruba, Aliko Songolo, Tejumola Olaniyan, and Kennedy Waliaula in literature, French, and English, Seth Ofori in Akan and linguistics, and Moneera al-Ghadeer and Samuel England in Arabic. The department has also become known for its innovations in pedagogy in the teaching of African languages, most recently with the 2014 introduction of Professor Katrina Daly Thompson‘s self-study methodology program that dramatically broadened the number of languages the department could support. The Comparative Tropical History Program was established within the History Department in 1961. Initially funded by the Carnegie Foundation, new faculty were recruited in African, Latin American, East Asian, South Asian, and Southeast Asian histories. The African component, soon also offered as an independent program, was a demanding program, requiring a series of intensive research seminars, mastery of three foreign languages, cross disciplinary training, and at least a year of field work, but it immediately attracted an enthusiastic and impressive group of graduate students. Fourteen Africanists graduated during the first decade, another 41 completed PhDs in the 1970s, 22 in the 1980s, 12 in the 1990s, and 13 in the 2000s, more than 100 in all. 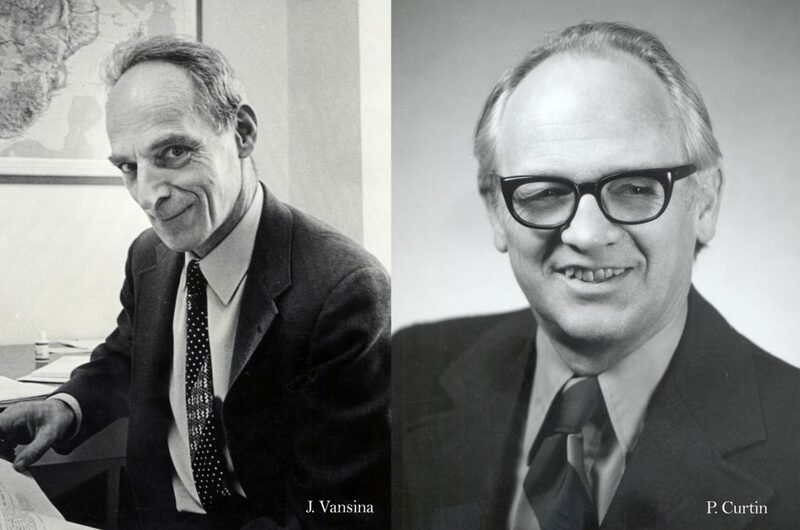 Philip Curtin and Jan Vansina were inspirational influences from the start, pioneering new fields in African pre-colonial, economic, intellectual, demographic, social, and diasporic history. They were subsequently joined by Stuart Schaar, Steven Feierman, and William Brown, who expanded the scope and influence of the program. Later, with their departure or retirement, Kathryn Green, Michael Chamberlain, Thomas Spear, Florence Bernault, James Sweet, Neil Kodesh, Pablo Gómez, Richard Keller, Gregg Mitman, and Emily Callaci joined the program. Today, the Wisconsin African history program is renown throughout the world and its more than one hundred graduates include many of the leading figures in the field.